Europa’s next top MICE destination, the continents second oldest capital city. Colourful streets, rich history, heavenly custard tarts & the famous old yellow tram. After the 1755 Lisbon earthquake, the city was nearly completely destroyed, due to this tragic event Lisbon had to rebuild the city. Eighty-five per cent of Lisbon’s buildings were destroyed, including famous palaces and libraries. Keen to have a new and perfectly ordered city, the king commissioned the construction of big squares, large avenues and widened streets. This vision was the seed of present-day Lisbon, a city that effortlessly blends traditional heritage, with striking modernism and progressive thinking. Lisbon is around a 2-hour flight from all major European cities, and its airport has exceptional air connectivity handling well over 1500 flights per week from and to Africa, Asia, North America, South America, etc. Hosting close to 100 international corporate events per year, it’s considered one of the more popular destinations for international congresses. Hotel revenue in Lisbon has been growing by +10% in every year for at least the past 3 years. Due to this increase in revenue, the amount of hotels is also rising in Lisbon, from 181 hotels in 2015 to 270 hotels in 2017. Forty-five of these eighty-five new hotels have either four or five stars. Indications that the city is preparing to become a great MICE destination. 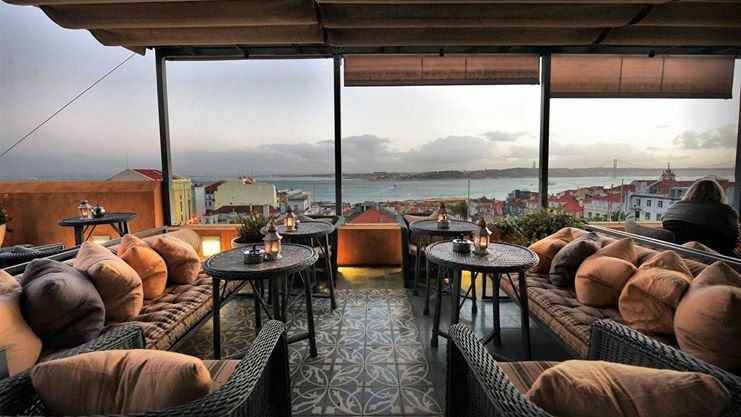 The hotels offer great diversity and authenticity to choose from, located in the beautiful neighbourhoods Avenida Liberdade, Bairro Alto, Baixo & Rossio which are all special in its kind due to its space and design. Stay in traditional luxurious hotels, overnight in the Cristiano Ronaldo Hotels or get a taste of the future and try booking a night at the Evolution Hotel. A good transportation system is vital for a MICE destination. Lisbon offers a wide range of transportation services, means of getting around both underground and on the surface. Busses, bikes, old trams, free elevators, cheap taxi’s, and modern subway lines are found all over the city almost 24/7. Clearly, the public transport options are more than sufficient. However, in the city centre most sights all close to each other making it compact enough to explore by foot. Lisbon, a city that effortlessly blends traditional heritage, with striking modernism and progressive thinking. Walking through the old little streets of Alfama is definitely a must! Discover the beauty hidden in these colourful streets & enjoy a nice traditional meal whilst being surrounded by Fado houses, one of Lisbon’s pearls. Fado is Lisbon’s traditional music genre, part of UNESCO’s World’s Intangible Cultural Heritage list, that can be traced back to the 1820s. You’ll find these traditional Fado houses in the old Moorish district as well, the neighbourhood Mouraria. For those that prefer a more modern surrounding, we recommend the Avenida Liberdade district, one of Lisbon’s more luxurious neighbourhoods. The perfect location for that shopping spree in one of many designer stores. Lisbon also offers a lively nightlife in the Bairro Alto district, with plenty of restaurants and bars. Hotels, multipurpose rooms, congress centres, modern museums and historic buildings, these are the ideal ingredients for a top MICE location. Lisbon’s hotels are very sufficient MICE location due to their appearances, services and size. Therefore, we will take a look at what other venues the city has to offer. Convento do Beato: Excellent location & remarkable facilities – For organising a wide range of events: congresses, seminars, exhibitions, concerts and other social occasions – There are a number of spaces available, including the former library for up to 450, upper foyer for up to 400 and terrace for up to 250. The largest space, the Cloister, can accommodate up to 1,200 seated and 2,500 standing. Grémio Literário: This small palace, located in the historical district of Chiado, has been occupied since 1974 by the Grémio Literário – with its neo-baroque style, the restaurant room overlooking the Tagus river, or the private Garden are just a few of the highlights of an ideal venue for small and medium-sized groups, looking for a classic and exquisite atmosphere – The Gremio has 7 event spaces available all within a classic and cultural style for events of 50 – 200 pax. 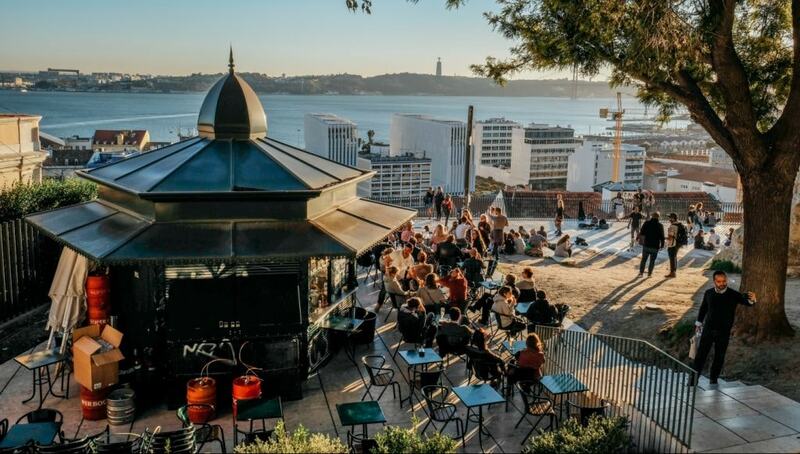 Lisbon has plenty of other unique venues which can be found in places such as museums, art galleries, rustic breweries, vineyards, and many other sites inside and outside of the city. Rooftop bars with breathtaking views, cultural heritage sights and exhibitions halls with diverse atmospheres that can be customised to one’s wishes. With this incredible collection of amazing venues, it seems Lisbon has all the ingredients needed for a great MICE destination. Some incentive programs during a business trip always get the team going. Luckily, Lifestyle DMC has plenty of these team-building activities to hold in Lisbon. Take your team to the beach and participate in Beach Games, an activity guaranteed to bring out your competitive side while having lots of fun. You complete a series of tests, by working as a team. Each test requires you to think, act quickly and decisively in order to ensure you emerge as the winning team. If you prefer something more relaxed then unwind on a sailboat on the sparkling Atlantic Ocean and then spend the rest of your morning or evening kayaking, paddling, or boating in this water-themed experience. Enjoy a relaxing cruise on a state-of-the-art sailboat, explore the water with kayaks, paddles, and more. Afterwards unwind from a tiring day with a glass of cava, wine, or beer in a stunning chill-out lounge and enjoy music and a catered lunch. Standing by the River Tagus, the Oceanario of Lisboa, considered the best aquarium in the world by Tripadvisor in 2018, is an ideal venue for corporate meetings and events. The Lisbon Oceanarium has a large collection of marine species, from sea anemones & marine plants to sharks & rays. The Oceanarium is also one of the few in the world to house a sunfish, because of their demanding and unique requirements for care. All in all, Lisbon’s team-building possibilities are wide and are guaranteed to enhance the experience of your business trip. Interested in some of the activities, venues, accommodations, or looking for someone to programme your perfect business trip including all the necessary service? Send us your request to info@lifestyledmc.com or visit our website to know more about us.